Via Mail: Click on the link to the 2019 Rose Festival People’s Choice Ribs Entry Form to print off an application to complete and return. Online: Complete the information below and then mail the applicable entry fee by June 8, 2019. 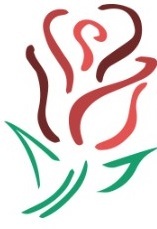 Via Mail: Click on the link to the 2019 Rose Festival BBQ Entry Form to print off an application to complete and return. Online: Complete the information below and then mail the applicable entry fee by June 10, 2019. By submitting the online entry, you accept the terms of the following waiver of liability: WAIVER OF LIABILITY: (must be signed to enter) In consideration of the Rose Festival BBQ Committee accepting this entry, I, the undersigned, intending to be legally bound, hereby, for myself, my heirs, executors, and administrators, waive and release any and all rights and claims for damages I may have against the Rose Festival Association of State Center, KCBS, and the Rose Festival BBQ Committee, their agents, successors, and assigns for any and all injuries suffered by me or my team in this event. Further, I hereby grant full permission to Rose Festival Board and or their authorized agents to use any photographs, videotapes, recordings, or other record on this event for any legitimate purpose. I agree to abide by all contest rules set out by the Rose Festival BBQ Committee and the KCBS. I also agree there will be no refunds. Contact Megan Willier at 641-691-5768 or via email at rosefestivalbbq@gmail.com. 1) Official KCBS rules strictly enforced. 2) NO food sampling to the public. 4) Set up on Friday, June 14th 8am-4pm. 5) Cooks’ Meeting Friday June 14th at 4:30 pm.